The NDP government has amended Wildlife Act regulations to help enforce the ban on grizzly bear hunting. In previous years, the spring grizzly bear hunt in B.C. would be getting underway by April, but a ban was imposed last year and new provincial regulations came into effect over the weekend to strengthen it. A ban on trophy hunting was announced last August and, by December, all non-First Nations grizzly bear hunting throughout the province was illegal. As of April 1, taxidermists and tanners in B.C. have to report any grizzly bears or grizzly bear parts brought to them within 10 days or face a $230 fine. They can still work on grizzly bear parts that were legally collected from outside the province or before the ban on grizzly bear hunting took effect last year. Chris Genovali, the executive director of the Raincoast Conservation Foundation, has been trying to bring an end to the grizzly hunt for nearly two decades. He said the additional changes on hunting this month come at a "monumental point in time" but there is still room for improvement. "That fine needs to be probably 10 times the current amount in order to incentivize these individuals to keep honest and follow the reporting requirements, otherwise it's just the cost of doing business," he told Gregor Craigie, the host of CBC's On The Island. About 250 grizzlies are killed annually by hunters in B.C., according to a provincial estimate reported when the ban was first introduced. 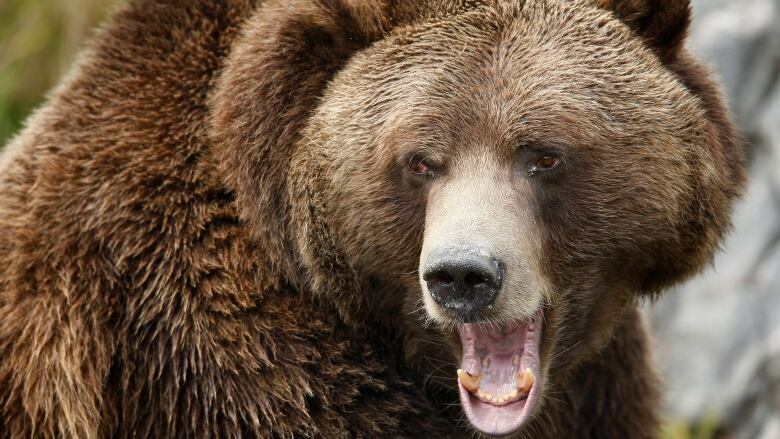 "We are hoping that the grizzly hunt ban will signal a new era in how both the B.C. government and British Columbians in general will interact and relate to all our carnivores in the province," Genovali said. Under the new regulations, hunters must carry all their species licences during a hunting trip. They must now also collect all the edible portions of large animals they kill, including cougars, mule deer, white-tailed deer, fallow deer, moose, elk, mountain sheep, mountain goat, caribou, bison and black bears.